Mickey and Minney out and about. This adorable toddler’s shirt is from Old Navy but doesn’t appear on their site. I’m not sure if it’s just sold out or maybe only available in their stores. Thanks to Steven S. and his adorable spawn (and future model). 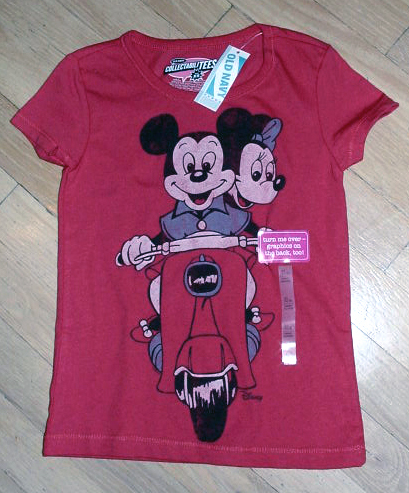 This entry was posted in Clothing and tagged disney, scooter, shirt, vespa by Tracy. Bookmark the permalink.